Behind the comfortable lifestyle of THNOC founders Kemper and Leila Williams was a staff of highly skilled individuals who managed the couple’s homes in New Orleans and Santa Barbara, California. The Williamses employed a staff of eight in New Orleans: a chauffeur, butler, cook, housemaid, laundress, personal maid, secretary, and gardener. 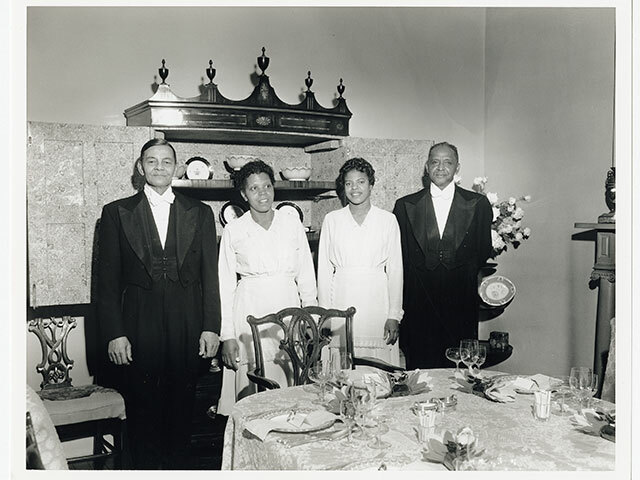 For the month of June, The Historic New Orleans Collection will be offering a special tour of the Williams Residence focused on the individuals who spent much of their lives in the Williamses’ employ. To register in advance on My HNOC, select any 11 a.m. tour in June.